Toyota will continue to show support for fuel cell vehicles, but lacking infrastructure has slowed its clean transportation plans considerably. Jim Lentz, CEO of Toyota North America, notes that more hydrogen fuel stations are needed to ensure the success of the Mirai, Toyota’s new fuel cell vehicle. Last fall, Toyota launched the Mirai in California, where most of the hydrogen stations in the United States are located. Later this year, the automaker plans to release the vehicle in Northeast markets. In order to ensure the success of the Mirai, Toyota has announced plans to develop new hydrogen fuel stations in five states. In total, Toyota will help build 12 hydrogen stations in Delaware, Massachusetts, New Jersey, New York, and Rhode Island. The automaker has not provided a specific timeframe when these stations will be open to the public, but this will likely coincide with the launch of the Mirai later this year. While consumers have shown interest in fuel cell vehicles, few people are willing to purchase such vehicles. This is partly due to their relatively high cost, but also because of the lacking infrastructure available to support fuel cell vehicles. Without access to hydrogen, those with fuel cell vehicles will not have access to the fuel they need. As such, conventional vehicles and those powered by lithium-ion batteries remain the favored option for consumers. 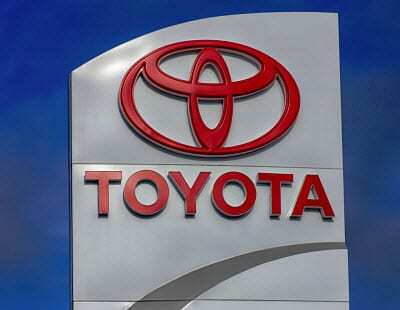 Toyota will maintain its long-term support for fuel cell technology, according to Lentz. The company has been working with other organizations to support the development of fuel cell vehicles and build new fueling stations. The company has partnered with the University of California to develop a model mapping the deployment of new fueling stations. According to the model, California would only need 68 hydrogen stations to support 10,000 fuel cell vehicles. This number is lower in the Northeast. Running a fuel cell car on hydrogen just does make economic sense. Electric cars can run three miles on the electricity it take to make a mile’s worth of hydrogen.